Jeremiah Mack working on a construction project in Niger. Jeremiah Mack served as a construction volunteer in Niger, West Africa. 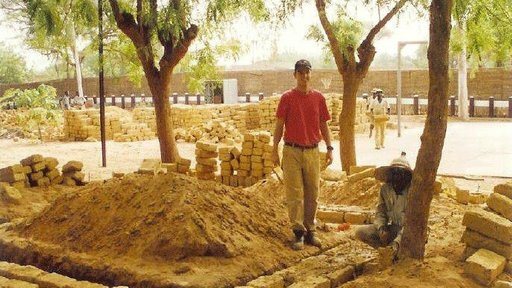 For nearly two years, he worked with local masons building homes and clinics using woodless construction techniques, in order to minimize desertification. Jeremiah’s characteristic big smile, sense of humor, and kindness endeared him to the Nigeriens he lived and worked alongside as well as to his fellow volunteers. To have known Jeremiah (whether in Massachusetts, New Orleans, Breckenridge, or Niger) means to miss him greatly, but also to remember the way he made people feel and the way that made a difference - and still does.